Keeping body fat in check is a good idea for all of us, but the bodybuilding world looks for fat levels below 10%. How low can we go and how is it done? 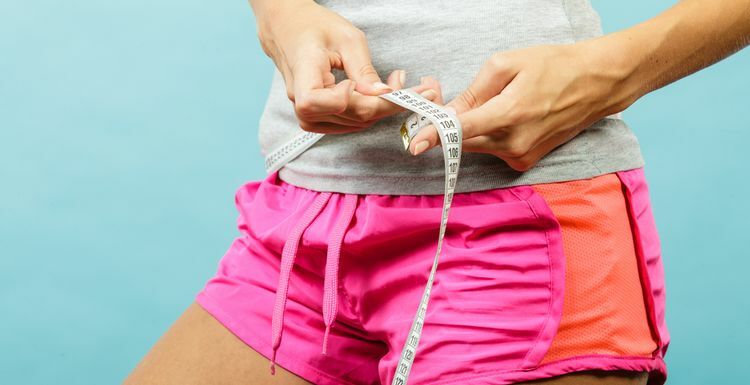 HOW IS BODY FAT PERCENTAGE MEASURED? There are electronic devices that will work out your body fat percentage for you. Alternatively there are low-tech methods which use skin-fold thickness to give you a rough idea. A compromise is to compare bodyweight against waist measurement (for men) or wrist and forearm measurement (for women). All of us have to have some body fat for organ function, temperature regulation and immune system health. Women do need to carry more fat – sorry ladies, in some cases there is no escape from biology! Going too low does cause health problems. Hence there is an ‘essential’ body fat percentage, which is 10-12% for women, and 2-4% for men. Athletes will have more, and general gym-goers can go up to 24% for women and 17% for men. However if you are seriously into your bodybuilding and want to go below the magic ten, try these ideas. You are looking to reduce the fat and build the lean, and that starts with your diet. Protein is essential to build lean muscle. Your calorie intake will need to be carefully controlled to ensure that you also get the right nutrients, while encouraging your body to burn its stored fat. Remember that the body needs good dietary fat for health and strength. Eating fat does not make you fat, so don’t eliminate it from your diet. There are as many opinions on the right macronutrient ratio (carbs, protein, fat) as there are bodybuilders! Try an online calculator that matches your aims, current weight and goal weight, but don’t neglect your vitamin and mineral intake. WHAT EXERCISES ARE BEST TO REDUCE BODY FAT? Maximise the calorie burn and toning with a full body compound exercise workout. There is some evidence that training ‘fasted’ burns more fat, so the timing of your workout in your day may also be relevant. Most importantly – plan ahead and be patient. Like Rome, a lean body can’t be built in a day. Very important to emphasise not to give up eating fat. My dad did a low-fat diet years ago and lost weight but looked really gaunt and was starving all the time. Eat those avocadoes and nuts! I don't think I can get that low, but lower would definitely be good. The 'training fasted' thing works for me more by luck than judgement, so I'll keep at it.